Calçotada in Altafulla | eat. write. smile. “So remember that what you will be eating this afternoon is the product of a two year process. 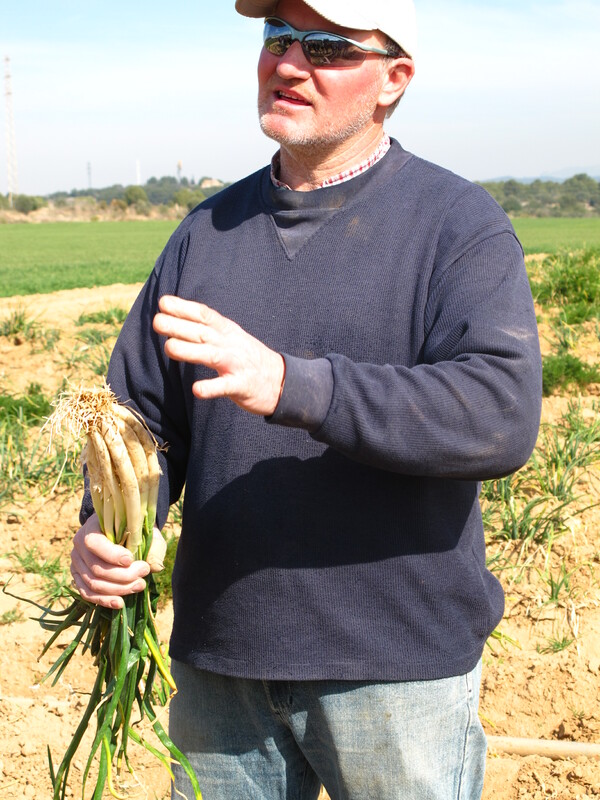 It’s not just any spring onion- it’s calçot!” Joan Albert Blanch, a Catalan farmer who showed no sign of age as he stooped to the onions in the ground, had just finished explaining why the meal we were to enjoy would taste so good. I didn’t really know what to expect, but I had a feeling I should trust the guy. 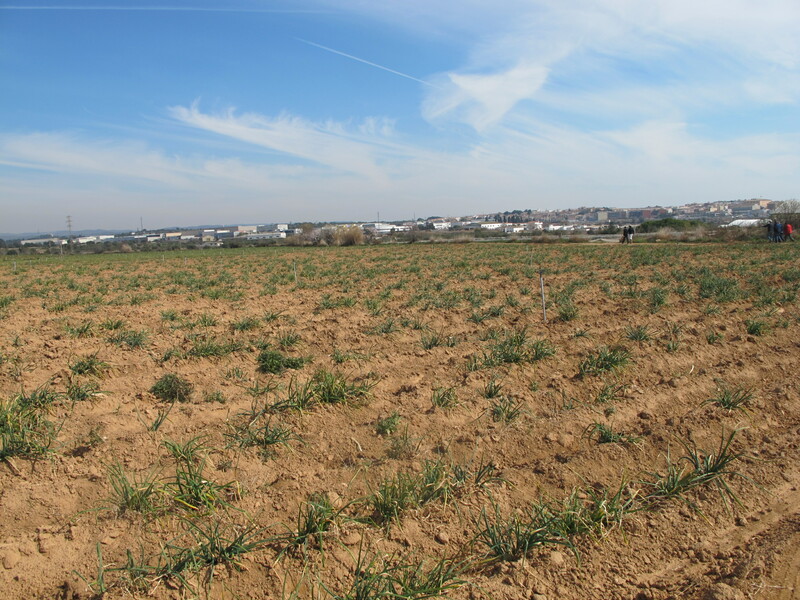 I was standing in the middle of a four hectare farm plot in Altafulla, about one hour south of Barcelona, blinking into the bright Mediterranean sun. My boots were dusty, my fingernails dirty, and my gardener soul was happy to be outdoors again. Joan Albert’s discussion of how calçots are grown, selected for taste and yield, and then charred on a roaring fire of olive branches had revived my interest in farming and also spiked my afternoon hunger. 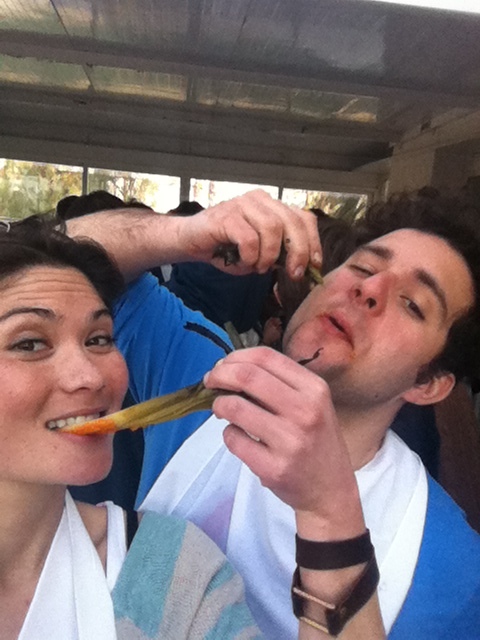 Last month, Elisha and I traveled to Catalunya for a traditional spring feast called a Calçotada (cal-so-TA-da). 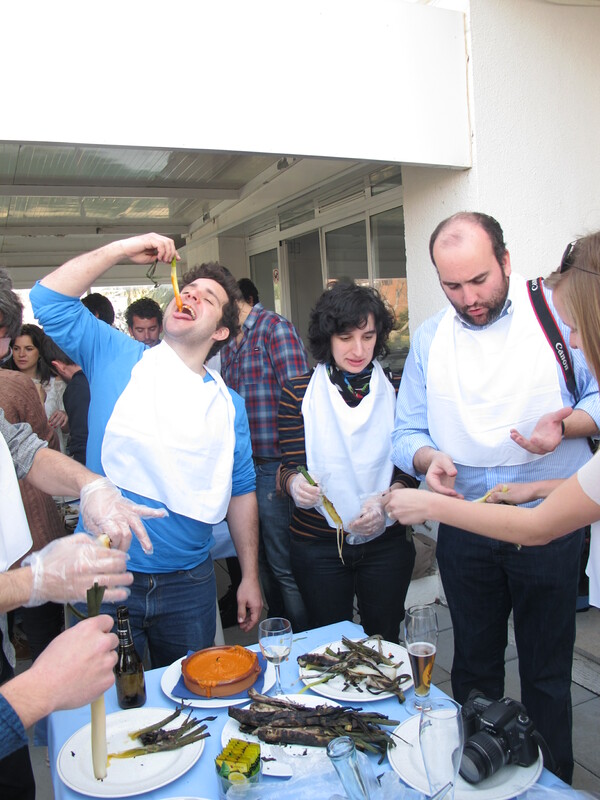 Our friends at The Glutton Club, who organized this bacchanal and many other food-centric workshop/parties, told us to expect grilled spring onions, bowls of romescu sauce, wine, more wine, and gin & tonics. They did not lie. 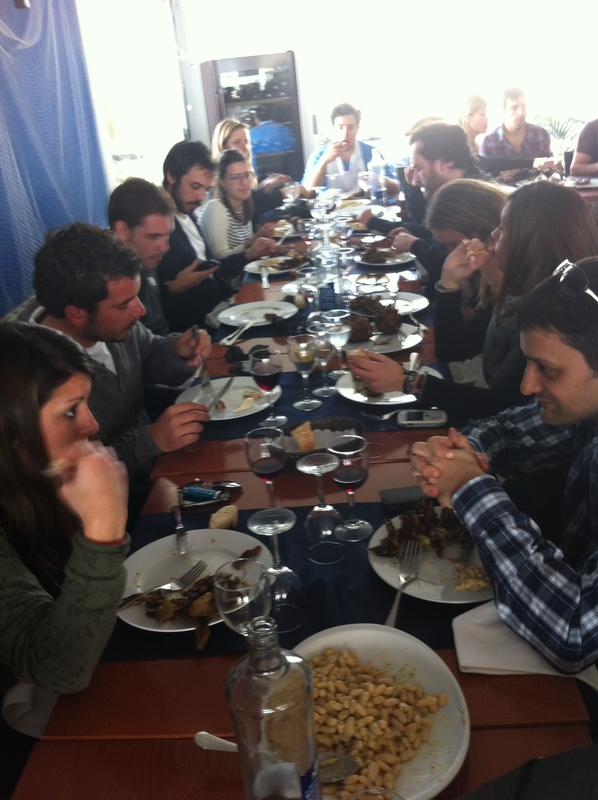 Before the Calçotada began, we had joined a group of like-minded Gluttons for this visit to Joan Albert’s farm. There we learned that a calçot is a type of aged and re-planted onion, fruit of a two year process that takes a regular onion from offensively sharp to soft, sweet and tender. First onions are planted in winter, and then harvested in late spring, as they normally would be. Then, these regular onions are left to sit over the summer, and they sprout little green tops. I am very familiar with this process up until this stage, as I often have neglected onions that sprout on the kitchen counter. All this time, I've been starting the calcot process and I didn't even know it. 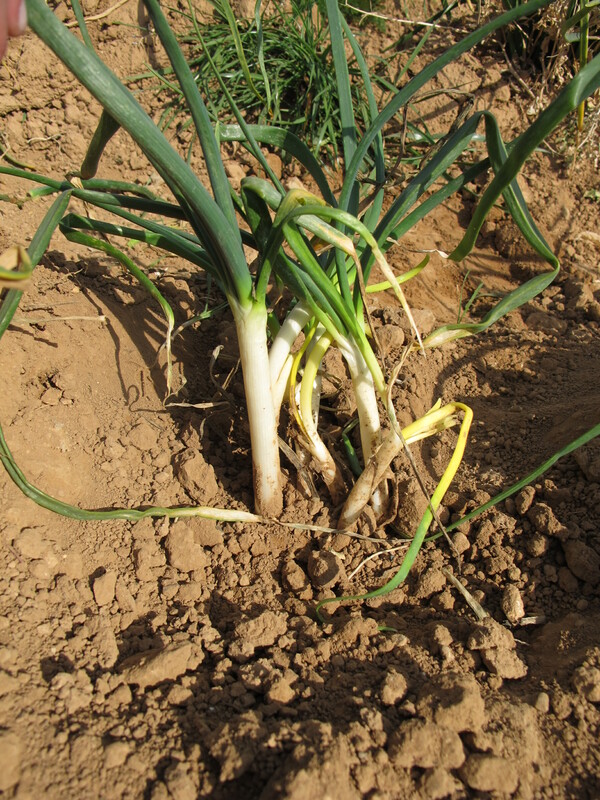 In late September, when the danger of mildew in the fields has passed, these sprouted onions are replanted. Curious about what occurs to the onions on a chemical level, I asked Tucker Taylor, culinary gardener at The French Laundry in Napa Valley, about the process. He told me that allicin, the sulfur compound in onions that makes us cry, offers the plant protection and an evolutionary advantage. Once the onion is harvested the first time and then sprouts as it ages over the summer, the onion no longer “needs” the allicin. 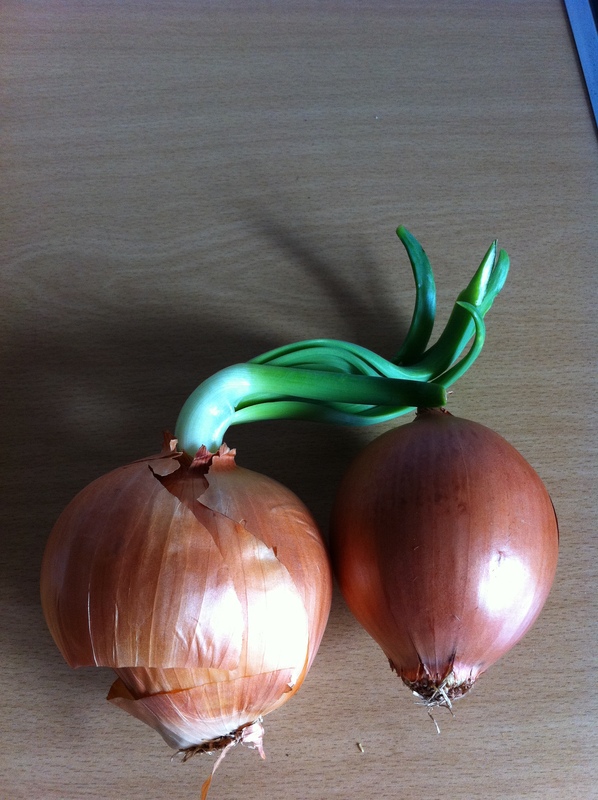 When the bulb is replanted, it has likely exhausted its ability to produce allicin, and thus is no longer offensively onion-y. It’s fascinating to think what occurs on a molecular level to food. Someone in Catalunya figured out that replanted onions were just plain sweeter than normal ones; it’s great to understand now why that’s true. Back in the field, as the little green sprout keeps growing and reaching higher, farmers like Joan Albert come around and cover and recover the onions with dirt. 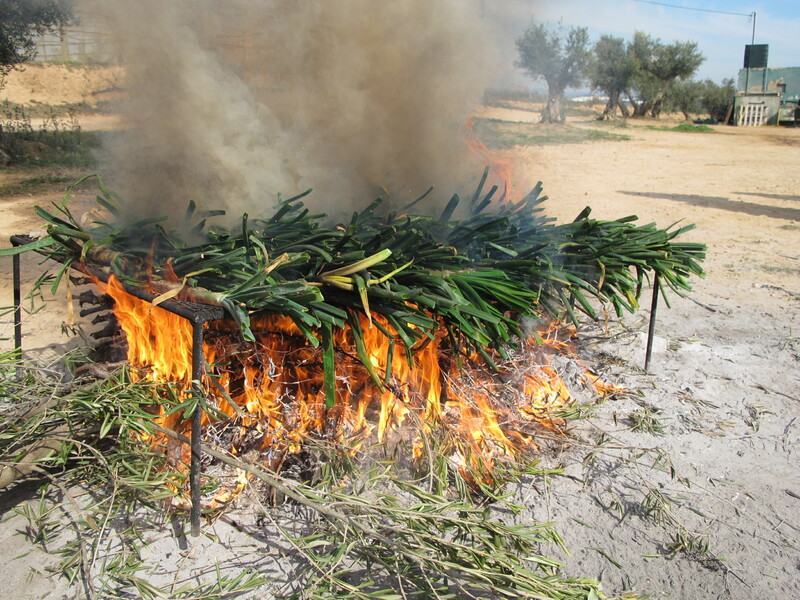 The process of burying a trunk or sprout with dirt is expressed in Catalan as calçar, (which forms the root of both the name of the tasty onion and the rocking party we were soon to attend). By late February, early March- as in, right now- the calçots have reached the size of small leeks, sweet and tender- prime condition for grilling and romescu dipping. 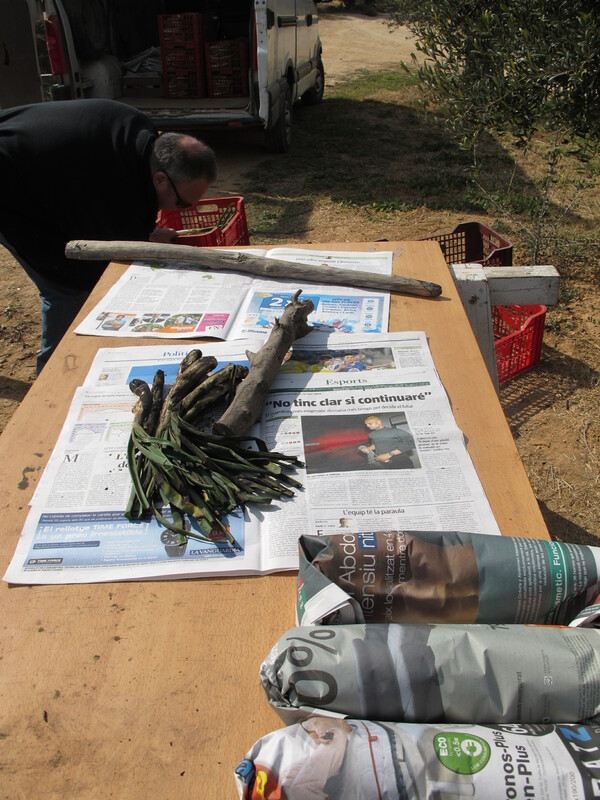 Once harvested, the calçots are charred over a roaring fire of olive branches, and then wrapped in newspaper to steam and to transport easily to our party. Given the amount of red wine consumed and the dipping-and-dangling technique to eat a calçot, I strongly recommend that one not wear anything white to a calçotada. 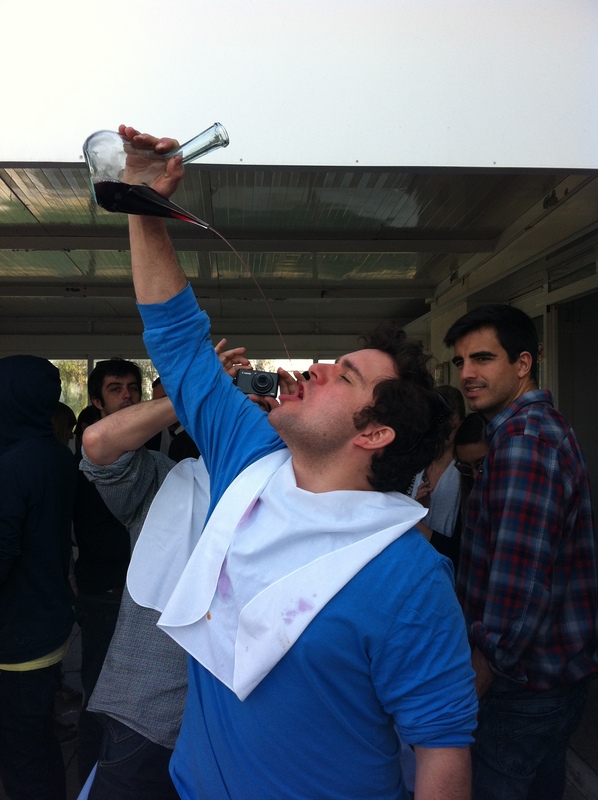 Bibs are provided, for both the wine pouring and the romescu sauce speckling. Plastic gloves were floating around to protect our hands while we slid off the blackened skins, but not everyone wore them. Elisha Ben-Haim shows the kids how to get down. The air was jovial, convivial, relaxed, full of laughter as grown adults engaged in a very messy eating style. I didn’t know half of the people at my table when we started eating calçots, and though I definitely don’t remember everyone’s name, we sure did have fun. There is no pretension at a calçotada; it just doesn’t work with sauce slurping and smiles. It seemed as though life’s problems- in fact, any bitterness at all- were temporarily left in the fields with the onions’ allicin. As if we hadn’t eaten enough, the afternoon continued with a sit-down meal of white beans, sausage, steaks and crema Catalana. 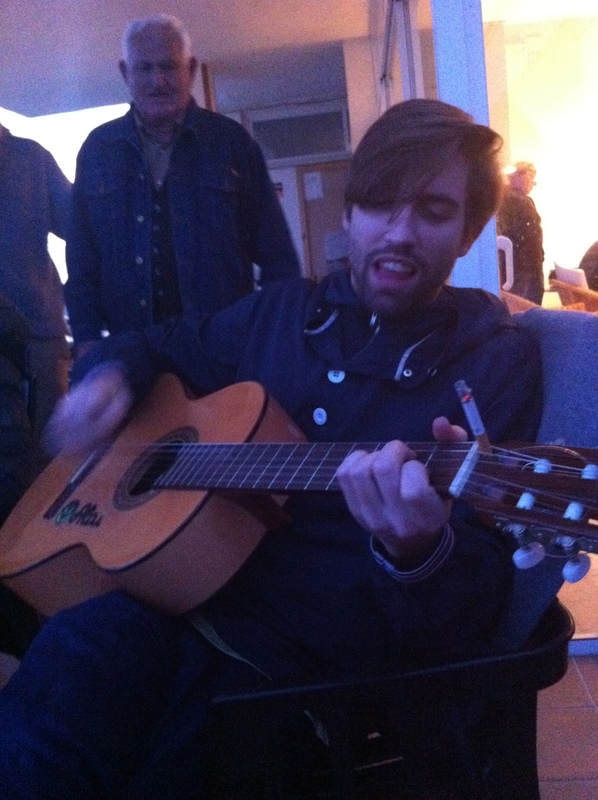 Then a guitar magically appeared, and someone suggested cocktails on the beach. 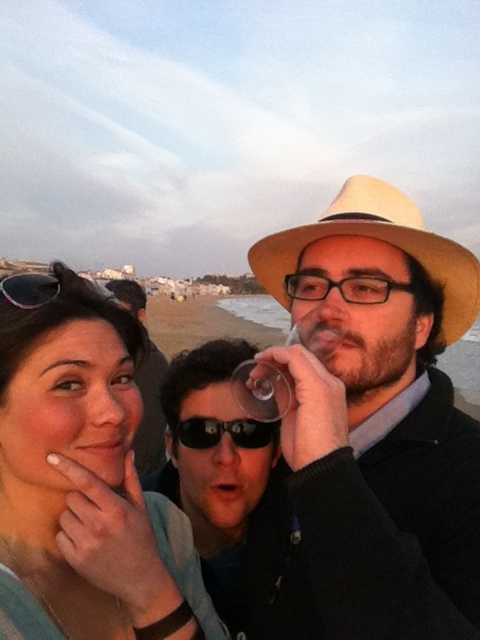 There is something quintessentially Spanish about this photograph for me. 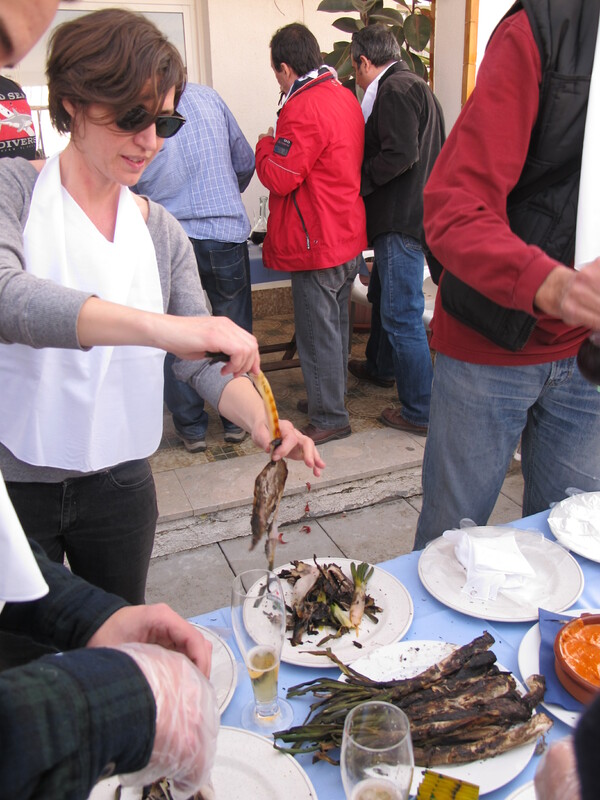 As we toasted with glasses of cava, I remember thinking that the calçots were a great excuse for a party, the perfect ice breaker to get food lovers and open-minded folk together on the Catalan coast. 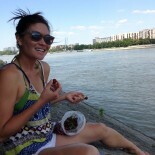 I pinched myself in disbelief at my good fortune to be living here. Thanks, Joan Albert; the calçots were damn good, and I was reminded again that life is sweet. 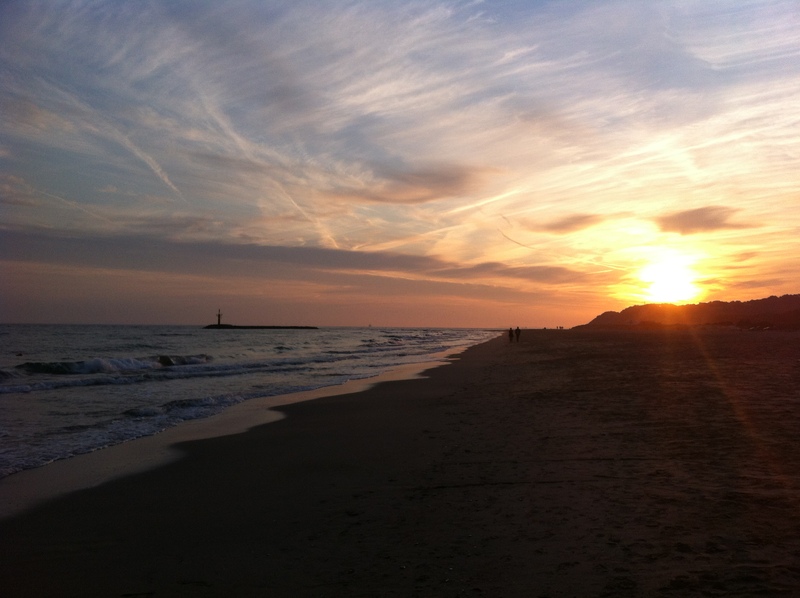 This entry was posted on March 20, 2012 by Ruthie in BasqueStage, Travel and tagged BasqueStage, Calçots, calcotada, catalunya.